These eco-friendly Christmas gifts are perfect for the environmentally-minded traveller. They not only give to the recipient but give back to the planet. Finally, before your travel ask yourself how responsible of a traveller you are and double check that you’re not accidentally harming animals on your vacation. You may be surprised by the results. 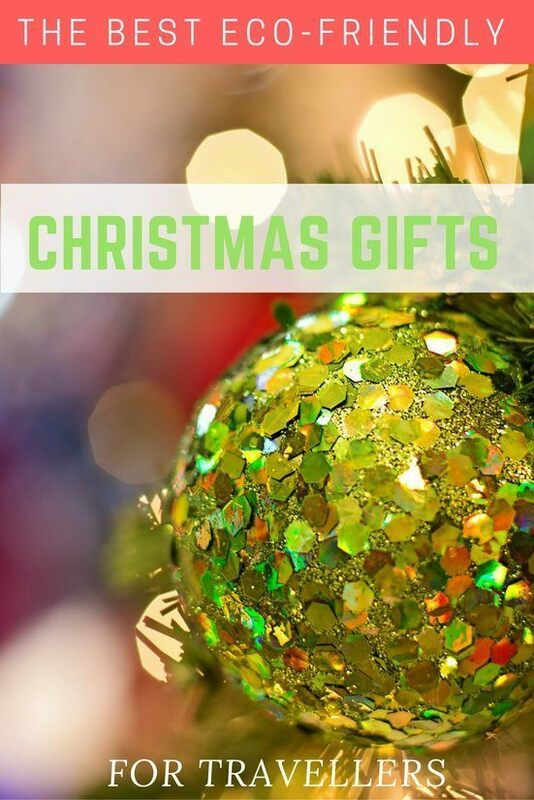 Let me know in the comments below which of these eco-friendly gifts you’d most like to receive and share it with someone as a hint. The more we learn and are inspired by wildlife and nature the more we’ll be able to do more to make a positive difference. I just picked up David Attenborough’s Adventures of a Young Naturalist: The Zoo Quest Expeditions and can’t wait to start reading it. I absolutely love giving and receiving books as gifts. They’re usually my favourite presents. You can find more of my favourite wildlife books here for further reading recommendations. 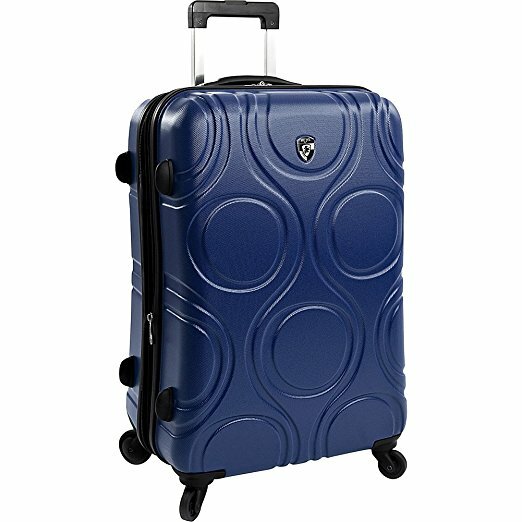 The Heys America EcoOrbis 26″ Upright Luggage contains 100% ABS plastic. According to the Guardian, one truckload of plastic is dumped into the ocean every minute. By 2050, the weight of plastic is expected to outweigh fish. Anything we can do to reduce or to reuse plastic has a positive impact on the environment. Not only does this luggage make for an eco-friendly gift, but it’s also practical too. It’s easy to manoeuvre, has a sturdy hardtop and lightweight. Eagle Creek has an excellent reputation in the travel industry for their environmental initiatives. They produce products that are long lasting so that they don’t end up in a landfill. They also source materials that have the least environmental impact. In addition to being good for the environment, they’re also incredibly practical. Not only do they keep your clothes organized, but they also allow you to pack more in a small space. The less luggage you carry, the lower your environmental impact will be when travelling. Plus, it’s more convenient to travel with less luggage. I’m a huge fan of crossbody bags for keeping your belongings safe. I’m convinced if I had been wearing one, I wouldn’t have gotten robbed while taking the metro in Athens, Greece. Now I always wear one when travelling. Not only is this one good for keeping your belongings safe, but it’s also stylish. Constructed entirely of cycle pet, a durable polyester fabric made from post-consumer beverage bottles, it saved over 17 bottles from ending up in a landfill or the ocean. 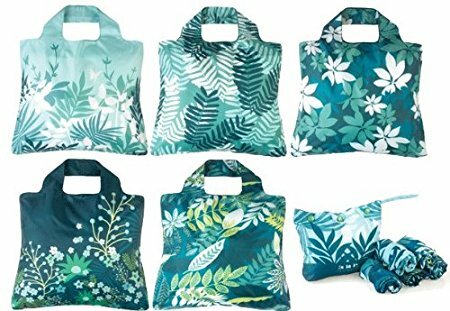 I love this set of 5 reusable bags and always carry one in my purse, both when I’m at home in Munich, Germany and when I’m travelling. As mentioned above, plastic is one of the biggest polluters on the planet, and reusing bags is an easy way to reduce your environmental impact. Also, it can save you money, since many stores, particularly in Europe, will charge you if you need a plastic bag. They’re particularly handy if you’re heading to a Christmas market where you’ll be purchasing a few items here and there. I received a passport holder a few years ago as a Christmas gift from my brother, and it’s one of the most practical gifts I’ve ever received. Several years later and my passport still looks almost brand new. That’s important when dealing with immigration. Before I had a holder and carried my passport loosely in my purse, my passport had gotten wet. When I went to renew it, the Canadian government made me get (and pay) for written consent from a lawyer saying that it wasn’t a forged passport. For the record, it wasn’t. After an extra step of bureaucracy, and an additional $80, I vowed to carry my passport in a holder, and I have ever since. Besides being practical, this one is almost made from post-consumer beverage bottles and saved two bottles from ending up in a landfill or the ocean. These toothbrushes are made from bamboo, a fast-growing renewable resource. They’re 100% recyclable so that they won’t end up in a landfill. The company also donates a portion of the profits to the Earthjustice charity. They make for a great stocking stuffer for the eco-minded person in your life. I’ve asked for a set for Christmas. The little changes we make in our life do add up. As Kermit the Frog says, it’s easy being green! The United States alone throws away 25 billion styrofoam coffee cups each year. Even worse is that styrofoam isn’t completely recyclable. It’s likely that you’ll find remnants of your coffee cup 500 years later! If you have one cup of coffee or tea a day, you’ll contribute 23 lbs of waste each year. While paper cups are better than styrofoam, each cup still creates .24 pounds of CO2 emissions. Source: Carry Your Cup: http://www.carryyourcup.org/get-the-facts. Fortunately, there’s an easy solution. Carry a reusable coffee mug. 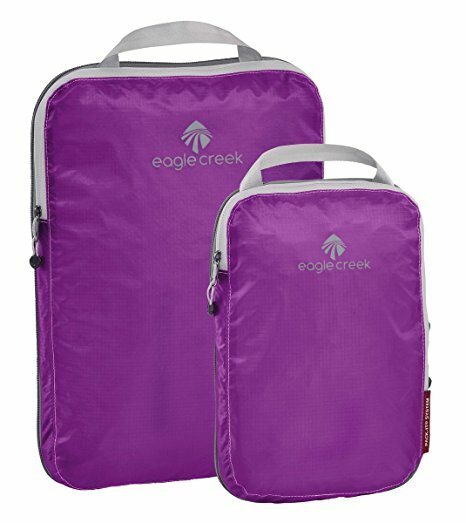 I love this one because it’s collapsible and doesn’t take up much room when it’s not in use. 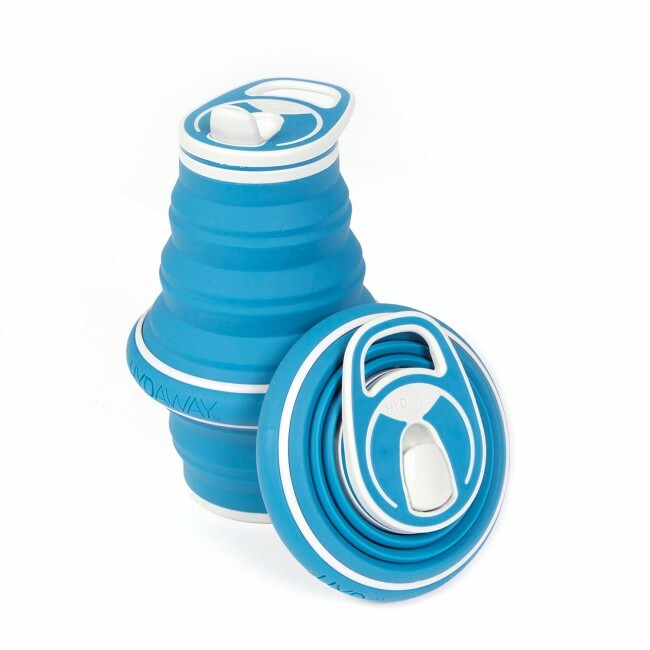 This reusable coffee cup makes a great eco-friendly gift. It can be utilized both at home and when on the road. I bought this exact one for my husband last year and he uses it every single day. If you’re brewing coffee at home, purchase organic shade grown coffee from the Lanna Coffee Company. Coffee bushes are planted under native tree species increasing the biodiversity. In addition, their coffee is grown by the hill tribes of Thailand, helping to alleviate poverty. It’s a cause very close to my heart after living in Thailand for two years. Coffee lovers will also be interested in these 20 Fascinating Facts About Coffee. Every year 50 billion water bottles are thrown away – 50 billion! While I love the idea of a reusable water bottle, I don’t like how bulky it is when not filled with water. That’s why I love this collapsible water bottle. It hardly takes up any room when not filled. You can also purchase the travel case for the bottle which makes it even smaller. In some countries, it’s not safe to drink tap water. Travel tip: See which countries in Europe you can safely drink water. That’s where the Lifestraw microbiological water filtration system comes in. It filters out over 99.9% of waterborne parasites and waterborne protozoa. It’s also great if you’re in nature as you can use it to filter water from a stream or a pond. Fast-drying towels are a lifesaver when you’re travelling or doing a multi-day trek like the Tour du Mont Blanc. There’s nothing worse than carrying a large wet towel with you. That’s why I like this compact one with antibacterial microfiber. You can reuse it multiple times without washing it and it won’t smell. Not only is that convenient when travelling but doing less washing is also good for the planet. I’ve been a huge fan of Burt’s Bees products for years, especially the Lip shimmer which gives you an amazing peppermint tingle. Burt’s Bees products contain natural ingredients that feel fantastic on your skin. I’m also a fan of their philosophy. They measure the triple bottom line; people, profits and the planet. They eliminate excess packaging and include post-consumer recycled content in their packaging. They’re also transparent about their use of palm oil, which is destroying orangutan habitat. In addition, they’re a member of the Roundtable on Sustainable Palm Oil. They’re doing more for the environment than most other skincare and cosmetic companies are. They also make exceptional natural products. Burt’s Bees products make for a great eco-friendly gift that will be appreciated both at home and on the road. While I haven’t used a solar cooker, I’m obsessed with the idea. It can cook in as little as 20 minutes with full sun reaching temperatures of up to 550°F (220°C). You can also use it when there are light clouds. I think it would be particularly helpful on a road trip or when camping in sunny areas. Plus, it looks like fun to use. Instead of driving on your vacation, why not reduce your environmental impact by cycling or hiking for part of it? Cycling and hiking holidays are something I do multiple times each year. Not only are they good for the environment, they’re also good for your waistline. If hiking or cycling isn’t your thing, consider a wildlife tour that puts you face to face with lemurs, gorillas, elephants, polar bears, or tigers (coming soon). Our tours help support ecotourism efforts in local communities by providing local jobs. Our Magic of Madagascar Tour goes even further, participants make a donation to a lemur conservation organization in exchange for meeting two top lemur researchers and getting the opportunity to spend a few hours with local children and volunteering at a lemur sanctuary. Plus, our tours that reconned you with nature do wonders for your soul. You’ll come so much more refreshed than if you would have spent your vacation lying on a beach. I usually have some sort of epiphany afterwards too. That’s what happens when you experience the power of nature. We offer a small selection of carefully curated hand-picked adventure tours that I’ve personally done. I think both you and your recipient will enjoy them as much as I have. If you need help in choosing the right one for you, just email me at info@monkeysandmountains.com, and I’m happy to help. This post was originally published in 2016 but was updated and republished Nov 13, 2017. Nice to see that some of these gadgets are actually sustainable ... got some great gift ideas for this coming year now! @Cam - Glad to hear it. I hate stuff that ends up in a landfill a couple of years later. Sustainability is so important for our planet. What a great summary of lessons to share with your fans! I loved your tips and lessons. Thanks for sharing. I love that you took an otherwise strange year and turned it into lessons and positives. Happy 2017 to you and your family <3 May it be wonderful!!! Thanks @Jay. Hope 2017 is treating you well so far. Yowza, that sound like quite the ordeal you went through with your passport. :o Happy future travels, and thanks so much for including our Trek Passport Case and To Go Convertible! I really appreciated this article because my wife and I are planning to buy Eco-Friendly Gifts. I’ve never been there before, so we’re trying to figure out what things are fun to do. I too am excited for the food, and the opportunity to find places to eat at. Thanks for sharing this! @Jason - Fingers crossed for you :). I bring my collapsible water bottle everywhere. I live in Germany and they charge for water in restaurants and I hate paying for water so I just stick my collapsible bottle in my bag and drink before I enter the restaurant.